Jay Suites is a hub for entrepreneurs looking to simply work better. We offer flexible, New York City private office suites for rent, virtual office plans, and on-demand hourly and daily meeting room rentals, so that you can focus on your business and leave the rest to us. All Jay Suites executive office suites are furnished, elegantly designed, and come equipped with state-of-the-art technology, resources, and support. In addition, members join a growing community with perks such as exclusive access to our members-only meet ups. With locations throughout midtown and downtown New York City, we have crafted an all-inclusive executive office space package so that you can project your company's expenses forward. Whether you're a lawyer, technology startup, or a fortune 500 company, you can count on Jay Suites to provide you with affordable and customized NYC office suites. Jay Suites provides a one-stop solution to the demand for all-inclusive temporary coworking space NYC. Meticulously designed with modern aesthetics and functionality in mind, we are challenging the idea of traditional office space with coworking spacesNYC and presenting a more cost-efficient alternative. Stop by and see our flexible office spaces or executive office suites at any one of our seven prime locations throughout Manhattan. If you are looking for temporary or long term office suites for rent, we can accommodate your needs for NYC office suites as your company grows. Save on overhead costs and additional expenses by joining the Jay Suites community! Get a prestigious Manhattan address, with a New York City area code phone number and meeting room access. Our New York City flexible office spaces are all fully furnished. 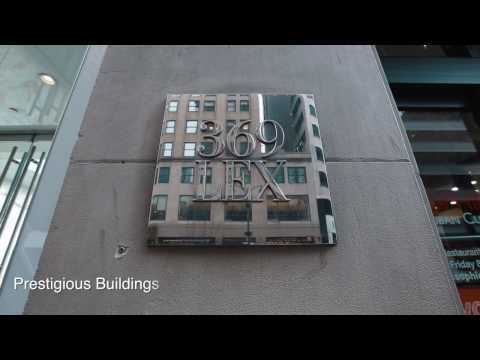 Take a video tour of our locations in Manhattan and get an upclose look at the quintessential NYC coworking and private office space provider! Have a meeting with an important client you need to impress? 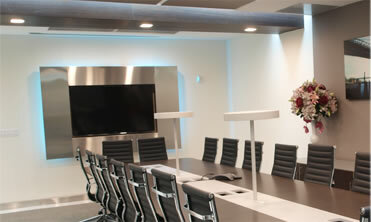 Reserve one of our state of the art and stylish conference rooms. Seamlessly book them online with executive catering today! Meetups are a chance for you to learn, network, get inspired and meet other entrepreneurs. Want to teach a class or host a workshop? Need some feedback on your app? Looking to meet others in your industry? We encourage members of the Jay Suites community to host meetups in our coworking space NYC. Our meetups separate us from all other office suites for rent in NYC by granting immediate access to a large network of ever-growing professionals. It's just one of the major benefits of renting our flexible office space in NYC. When you experience coworking space in NYC at Jay Suites, you have access to our designated mobile hotspots and member lounges. From the growing freelance workforce to large fortune 500 companies in need of satellite offices, we're able to accommodate everything your business needs to operate successfully in a coworking NYC productive environment.